Citation: Tafesse T, SorsaBadacho A, Kuma DM (2018) Timely Introduction of Complementary Feeding among Caregivers of Children 6-12 Month Sodo Town, Ethiopia. 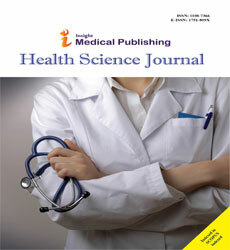 Health Sci J. Vol. 12 No. 1: 543. Copyright: © 2018 Tafesse T, et al. This is an open-access article distributed under the terms of the creative Commons attribution License, which permits unrestricted use, distribution and reproduction in any medium, provided the original author and source are credited. Background: Nutritional adequacy can be maintained by meeting the key practices of complementary feeding as recommended by WHO and related organization for infant and young child. Timely introduction of complementary feeding is provision of liquid, solid or semisolid food in addition to breast milk starting from age of six month. The study aimed to assess timely introduction of complementary feeding among caregivers of children aged 6-12 month in Sodo town. Methods and findings: Community based cross-sectional study was conducted in Sodo town administration, Wolaita zone between July to August 2015. A total of 503 mothers of children aged 6 to 12 month were included in the study. The proportion of timely introduction of complementary feeding among children 6-8 month’s age were 66.3%. Two hundred eighty nine (57%) children were introduced to liquid, while they were at the age of 6 month. Mothers who attended antenatal care were 2.79 times more likely to practice timely introduction of CF than mothers who had not attended antenatal Care (ANC) (Adjusted Odd Ratio (AOR): 2.79; 95% CI: 1.43-5.44; p<0.001). Those mothers who received counseling about Complementary feeding (CF) and assisted by health professional during delivery were more likely to introduce complementary food at the recommended age (AOR 1.92 CI: 1.08, 3.39; P<0.01) and AOR 3.68, CI: 2.12, 6.39; p<0.001) respectively. Conclusion: The Proportion of timely introduction of complementary feeding was low in study area. ANC visit, getting counseling and delivery assisted by health professionals found to be predicator’s timely introduction of complementary feeding. Globally under nutrition contributes more than one third of child death. In developing world 13% of under-five children’s are wasted and 129 and 195 million children are underweight and stunted respectively. Among 6-9 month age group of children’s less than 60% fed solid, semi-solid or soft foods while being breastfed. Problems related to under nutrition such as stunting, underweight and wasting are more prevalent nutritional problem among sub-Saharan Africa and Asia countries [1,2]. As informed by UNICEF conceptual framework; inadequate intake and caring practices were mentioned under immediate and underlining causes of under nutrition respectively . Early or late introduction of complementary feeding plays a significant role in child growth and development, in developing countries deviation related to timely introduction of complementary feeding practice identified among the major causes of under nutrition [4-7]. Suboptimal feeding practice during early childhood period would have irreversible damage on child growth and development. The first two years of life considered as critical period as a result of rapid growth and development, feeding those children according to the international recommendation could be the best solution for most prevalent nutritional problems and proper growth of the child [4,8,9]. Optimal infant and young child feeding practices are most effective interventions to improve child health. Strategy of promoting exclusive breast feeding, complementary feeding, with or without provision of food supplements; micronutrient interventions; general supportive improving family and community nutrition; and reducing disease burden some of effective interventions . Because of the rapid growth and development the age below two years characterized as ‘window of opportunity’ if supported by adequate nutrition and care . The recommended complementary feeding practice encompasses timely introduction of complementary feeding. Maintenance of breast feeding till two years and beyond, dietary diversification, energy density, provision of age appropriate frequency and amount of complementary feeding and also feeding during and after illness [1,4,9]. Ethiopians Demographic and Health Survey (EDHS) of 2011 revealed that child feeding practice deviates from international recommendation. The prevalence of complementary food introduction in a timely manner was about fifty percent and characterized by poor dietary diversification; two third of complementary foods were grain based, 20 percent ate foods from legumes or nuts and only 13% of children 6-9 month age consumed dairy products . Even though the proportion of care givers who introduced complementary food in a timely manner in South Nation and Nationalities People Region SNNPR was higher compared to the national figure. Majorly children 6-9 month in the region consumed monotones foods as of other regions in the country . However, to the best of the authors' knowledge there was limited empirical evidence on complementary feeding practices in the study area. Therefore, this study aimed to assess timely introduction of complementary feeding among caregivers of children aged 6-12 month in Sodo town. A community-based cross-sectional study was conducted in July and August 2015 in Sodo town administration, southern Ethiopia. The town administration is located at 327 Kilometers from the capital twon of Ethiopia. With estimated population of 100755. About 1.66 percent (1672) of the population is children aged 6-24 month according to the regional estimation (21). The town administration has 11 Kebeles and 86 villages within eleven Kebeles. Sample size was calculated using Epi Info version 7 software using the single population proportion formula. Confidence interval 95%, assuming 50% of the population practice as expected, total infant’s population aged 6-12 (1.6% of total population) months 1672, margin of error 5% and design effect 1.5 the sample size with Fleiss Continuity correction becomes 469 and with 10% non-respondent rate, the final sample size was 516. Cluster sampling was employed whereby; six Kebeles were selected randomly. Then three sub Kebeles (Gotts) were selected from each Kebeles randomly. All eligible participants in selected clusters (Gotts) were included in the study. A structured questionnaire was produced in English and translated from English to the local language (Amharic language spoken by the community). Another translator then translated the Amharic version back into English to check for consistency of meaning. The study variables were adapted from WHO infant young child feeding practice survey Questionnaire. The primary respondents were the mother of the child or the principal caregiver (the one who cares the most). Interviewer-administered face-to-face interviews were conducted using structured and pre-tested questionnaires. The data collectors were diploma holders who fluent in the local language. Data collectors were given three-days training on the study objectives, method of data collection, and the tools for data collection. The supervisors were senior public health experts. The data collection tool was pre-tested in kebeles other than the study area; based on these results, adjustments were made to the data collection tool. Spot checks on the quality of data collection were made in the field and completed questionnaires were checked daily. Data were entered into EpiData version 3.1 and exported to SPSS version 20.0 for further analysis. The frequency distribution of all the variables was examined to check for data entry errors. Descriptive statistics like mean, median, range and standard deviation was calculated and also bivariate and multivariate logistic regression was computed. Variables showing a statistically significant association in bivariate analysis were analyzed using the enter method of multiple logistic regression to examine associations between explanatory variables and the dependent variable. 95% confidence intervals and adjusted odd ratio (AOR) were calculated and used to describe statistically significant variables. A p-value <0.05 was considered statistically significant. A total of 503 mothers of children aged 6 to 12 month were voluntarily included in the study, the response rate was 96.9%. Majorities (98%) of the respondents were biological mothers of a child. Over 88% of the mothers interviewed were between the ages of 16 to 35 years with the mean age of 28.4(SD: +6.8). The majorities of the respondents were ethnicity of Wolaita (79.7%). More than half of the respondents were Protestants (59.1%) and 34.8% were Orthodox Christians. The vast majority of the respondents (95.4%) were married. 41% of the mothers had no formal education. Around two third of mothers were a house wife (n=350, 69.6%). Out of the 6-12 month children recorded under this study 48.3% of them were female. Children’s average age was 10.04 (SD: +2.26) months. One fourth of children (24.7%) were 6 to 8 months of age and three fourth of them (75.3%) were 9 to 12 months of age category (Table 1). Table 1 Socio-demographic and obstetrics and health service related variables of mothers in Sodo town, South Ethiopia, 2015. More than two third of mothers of children had ANC visit, 59.6 and 63 percent of mothers had got advice about breastfeeding and complementary feeding during their antenatal follow up respectively. About half (46.1%) of the mothers y delivered the index child at home. Half of the mothers reported got health professionals assistance when they delivered the youngest child and 28.8 percent of mothers were assisted by non-health professional. The prevalence of caesarian section mode of delivery was 8.5%. Majorities of the participant’s responded that as they heard or read child feeding related information from mass media (Table 2). Table 2 Obstetrics and health related variables of mothers in Sodo town, South Ethiopia, 2015. The proportion of children who started receiving liquid, solid and semi-solid foods for the first time at 6-8 month of age were used to measure the timely introduction of complementary feeding. In this study two third (66.3%) of children were introduced to liquid, solid or semisolid food other than breast milk while they were 6-8 month of life; 57.5% (289) of the respondents started complementary food other than breast milk at the age of 6 month (Figure 1). Figure 1: The age at which complementary food introduced. About 27.2% (137) mothers of children already started complementary food before the recommended age and the rest of the mothers introduced after the child being 9 month or above. The most common complementary foods being given to children before the age of six months were: plain water (30.2%), sweetened/flavored water (22%), with most of children on it having been introduced within the third months of life (78%). The bivariate analysis identified nine variables; maternal education, occupation of the mother, Antenatal care (ANC) visit, postnatal home visit, place of delivery, deliver attended by health professional, access to mass media, breastfeeding and complementary feeding counseling were identified as a factor associated with timely introduction of complementary feeding for the child 6-8 month (Table 3). 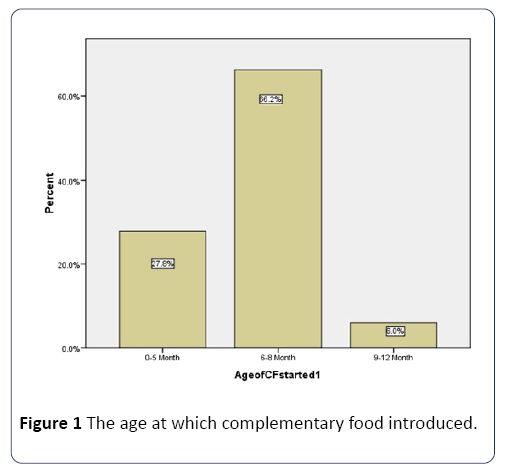 Table 3 Determinants of timely introduction complementary foods among children aged 6–8 months, Sodo, 2015. Multivariate comparisons of characteristics of timely introduction of complementary feeding (liquid, solid or semisolid food other than breast milk) practice of mothers of children 6-12 month. Attending antenatal care at health facility during pregnancy, Complementary feeding counseling and delivery assistance were found to be predictors of complementary feeding. Mothers who had attended antenatal care were 2.79 times more likely to practice timely introduction of complementary feeding than those mothers who had not attended Antenatal care (AOR: 2.79; 95% CI:1.43-5.44; p<0.001). Those mothers who had received counseling about complementary feeding had 1.92 times more likely to introduce at the recommended age of complementary feeding (AOR 1.92 CI: 1.08, 3.39; P<0.01). Mothers who were assisted by health professional during delivery had 3.68 times more likely to introduce complementary feeding than assisted by relatives (AOR 3.68, CI: 2.12, 6.39; p<0.001). Having antenatal care at health facility, getting counseling related to complementary feeding during pregnancy and getting assistance by health professional during delivery was identified as predictor of timely introduction of complementary feeding. Introduction of nutritionally adequate and safe complementary foods at six month promotes growth and ensures better nutritional status of the children. Maturation of the gastrointestinal system of the child and insufficiency of breast milk alone are the reasons to initiate additional food when the child get six month. Early or late introduction of complementary feeding practice have its own drawbacks regarding to health and growth of an infant. More than half of the mothers initiated food other than breast milk at the age of six for their children (57.7%). Two third (66.7%) of children aged in this study had received soft, semi-solid or solid foods while they were at age of 6-8 month. The proportion of timely introduction of Complementary feeding was slightly higher than the national prevalence (51%) [6,12]. One hundred thirty seven (27.2%) of the interviewed mothers started giving complementary foods or drinks other than breast milk (mostly water, gruel and other semisolid cereal-based preparations) to their infants before they reached 6 months of age. This finding slightly lower than the finding of Drashe Special woreda (38.7%). Study in Kenya showed that more than one third of children introduced to complementary feeding at the age of three month [9,13]. This study provides better understanding of factors determining timely introduction of complementary feeding that are related to socio demographic and health seeking behavior. Several factors were found in this study to influence inappropriate introduction of complementary feeding practice. For example, attending antenatal care, complementary feeding counseling and getting assistance by health professionals during delivery were consistent determinants of appropriate introduction complementary feeding practices. Attendance to antenatal care clinics is believed to be beneficial to mothers as a source of information about appropriate infant and young child feeding practices. This study revealed that children whose mothers who had antenatal care (ANC) visit were more likely to introduce timely compared to children whose mothers had not attended any antenatal care service while she was pregnant for the index child. These finding is consistent with those reported in Harar Ethiopia, mothers who had antenatal care (ANC) visit were more likely to introduce timely compared to children whose mothers had not attended any antenatal care service [14,15]. Provision of complementary feeding counseling during pregnancy influences complementary feeding introduction at the appropriate time and promoting exclusive breastfeeding [4,16]. This study found a positive association between complementary feeding counseling and timely introduction of complimentary feeding practices. Children of mothers that had access to Complementary feeding counseling were less likely to get early or late introduction of complementary foods. Study conducted in Guatemala, Pakistan, Democratic Republic of the Congo (DRC) and Zambia supports our finding. Nutritional education is positively associated with nutritional practice of the mother . Furthermore, this study found a positive association between delivery attended by health professional and Complementary feeding introduction. Mothers, whose delivery had assisted by health professional more likely introduction of complementary feeding at recommended age compared to whose deliveries were attended by untrained persons. The possible reason for this finding might be the better health seeking behavior of the mother and the potential of getting device about exclusive breast feeding and optimal complementary feeding. This finding is supported by different studies conducted locally and in other developing countries . Maternal working condition was one of the determining factor for child feeding practice, which can positively or negatively affect child feeding practices. It is believed that working mothers are expected to introduce complementary food earlier than nonworking mother because of their working condition . A mother or care may have difficulty of remembering the exact time of complementary food introduction for the older child; as a result, it is subjected to potential recall bias. The study design (cross sectional) will not explain any causal relationship between any of the factors involved in the study. The proportion of complementary feeding introduction was lower but the finding was higher compared to the national figure. Adherence to the recommended feeding practices can be increased by promoting the importance of ANC visit, by promoting hospital deliveries and by imparting health education. Mobilization of health professionals who attend ANC and delivery have better role in promoting optimal complementary feeding practice. Provision of evidence based information regarding to the effect of breast feeding and complementary feeding education on attendant’s child feeding practice and child health outcome may motivate health professionals to provide nutrition education regularly during ANC visit and delivery. Mobilizing the community to enhance health seeking behavior (ANC visit and health facility delivery) using the existing one to five health system. Ethical approval was obtained from the ethical clearance board of Wolaitasodo University with reference number RPGC/ 446/2015, according to the standardized principle and procedure which in line with national and WHO guideline. The participants were informed about the purpose of the study and oral consent was obtained from each study participant. TT, AS and DM; conception and design of the study and data analysis. AS, TT: analyzed the data and interpreted the findings. DM: conducted and supervised data collection and management. All the authors read and approved the final manuscript. 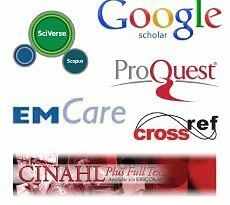 The author’s sincere gratitude goes to the data collectors, supervisors and study participants. Strategy for improved nutrition of children and women in developing countries. Marie Ruel, New York 1990. Medhin G, Hanlon C, Dewey M, Alem A, TesfayeF, et al. (2010) Prevalence and predictors of under nutrition among infants aged six and twelve months in Butajira, Ethiopia: The P-Ma MiE Birth Cohort. BMC Public Health10:27. Bhutta ZA, Ahmed T, Black RE, Cousens S, Dewey K, et al. (2008) What works? Interventions for maternal and child undernutrition and survival. The Lancet 371: 417-440. Bork K, Cames C, Barigou S, Cournil A, Diallo A (2017) A summary index of feeding practices is positively associated with height-for-age, but only marginally with linear growth, in rural senegalese infants and toddler. J Nutrition 142: 1116-1122. Kimani-Murage EW, Madise NJ, Jean-Christophe F, Kyobutungi C, Mutua MK, et al. (2011) Patterns and determinants of breastfeeding and complementary feeding practices in urban informal settlements, Nairobi Kenya. BMC Public Health 11:396. Tesema M, Belachew T, Ersion G(2015) Feeding patterns and stunting during early childhood in rural communities of Sidama, South Ethiopa. Pan Afr Med J 14: 75. Gibbs M, Bailey KB, Lander RD, Fahmida U, Perlas L, et al. (2011) The adequacy of micronutrient concentrations in manufactured complementary foods from low-income countries. J Food Composition Analysis 24: 418-426. Abera K (2012) Infant and young child feeding practices mothers living in Harar, Ethiopia. Harar Bulletin of Health Sci 4: 66-78.